Of the Big Five grape varieties, Cabernet Sauvignon increased by 81%, Merlot by 10%, Syrah by 47%, Riesling by 6% and Chardonnay by a modest 2%. For other red grape varieties, Pinot Noir (?!) showed the strongest growth at 65% followed by Malbec at 53% (it is worth noting that the catchall ‘Other Red’ category grew by 85%). A number of red grape varieties decreased in acreage, led by Barbera, which decreased by 43% (although the overall acreage numbers are quite small). For other white grape varieties, Pinot Gris saw the largest increase (35%) followed by Sauvignon Blanc (24%). All other white varieties showed single digit increases or even decreases. Chenin Blanc saw the largest decrease at 68%. Sadly, Chenin Blanc – which includes some of Washington’s oldest grape vines - seems to be slipping away. There were 600 acres of Chenin Blanc planted in Washington in 1993 and 207 acres in 2011. Just 67 acres remain today. Looking at appellation level data, Red Mountain showed the strongest growth, with a 48.1% increase in acreage from 2011 to 2017, followed by Horse Heaven Hills (40.9%), and Walla Walla Valley (26%). 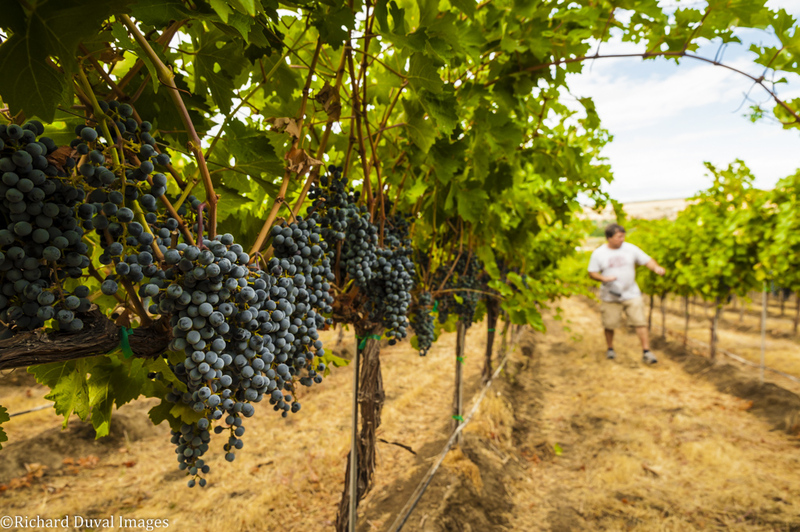 The Puget Sound appellation meanwhile showed a 42.7% decrease in acreage. Of note, appellation level data was not recorded for the Ancient Lakes or Lewis-Clark Valley appellations. 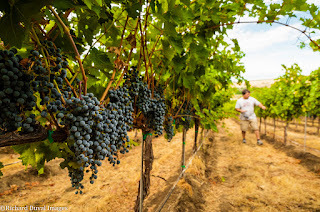 Additionally, only the Washington sections of the Columbia Valley and Walla Walla Valley appellations were included (presumably this was the case for the Columbia Valley as well although it is not explicitly stated). Of note, the percentage increase in acreage in the Walla Walla Valley in particular would be much larger if the Oregon side were included. What do these data tell us? They confirm much of what the recent grape production data does, that Cabernet Sauvignon is becoming the major player in Washington. They also confirm that the state is tilting increasingly red. It's also worth noting that a number of grape varieties showed decreases in plantings. This indicates that growers and winemakers may be becoming a bit more focused. However, the large growth in the 'Other Reds' category shows that experimentation continues. Find the complete report on-line here. The 2011 report can be found here. Found other interesting data or inconsistencies in this report? Leave a comment below or write me at wawinereport@gmail.com.